One of the fun things about making homemade slime is that there are so many different ways you can make it! You can make it fluffy, stretchy, more like clay or you can make it crunchy. 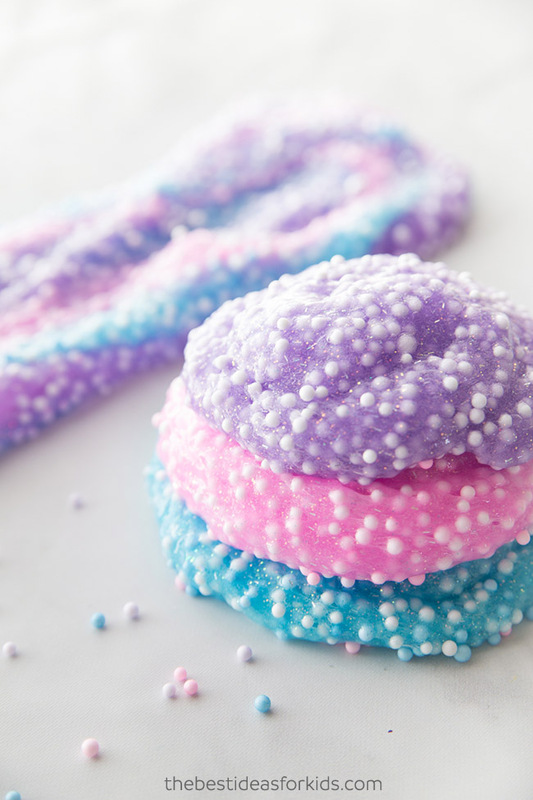 We’re going to show you how to make this crunchy slime, also known as homemade floam slime. You only need 4 ingredients to make this floam and it’s really easy to make and will last for weeks!